Many years ago I saw a patient who was anxious about undergoing treatment. 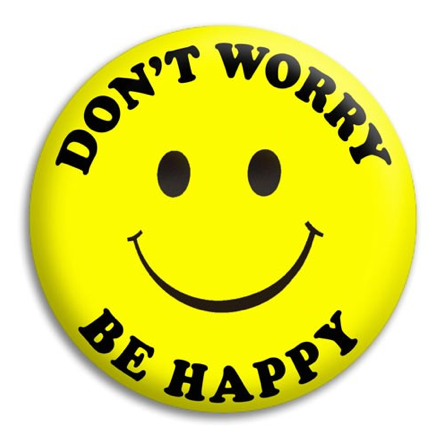 She came in wearing boxer shorts purchased by her son that were intended to help her have a lighter attitude – they had yellow smiley faces on them with the saying, “Don’t worry…be happy.” While she appreciated her son’s caring, I’m not sure they diminished her discomfort. In 2008, I finally admitted to myself that I was unhappy with my practice. Instead of being excited about the patients I might help, I glanced at my schedule each day and counted the number of patients I needed to see before I could go home. Does that sound familiar to you? Although I had been doing this for a number of years, it took a while to muster the courage to acknowledge how unhappy I was. Uncertain what might come of it, I worked with a coach and realized what was missing from my professional life. A few years later, I was trained as a coach and was back, happily seeing patients, teaching medical students, and coaching other physicians who wanted to become happier with their practices and their lives. I love the variety and the fulfillment I get from watching physicians regain their love of being a doctor again. I wouldn’t have my current satisfaction if I hadn’t been willing to feel just how unhappy I was and take the steps to change my life. If you find yourself unhappy with an aspect of your life, take a moment and ask yourself what that feeling is telling you. What do you really want? What would make that possible? What needs to change for you to have the fulfillment you long for? Deciding not to ignore our feelings of unhappiness is the first step toward achieving a more satisfying and joyful life. This entry was posted in mindfulness, physician coach, physician coaching, physician fulfillment and tagged medical career, physician coach, Physician coaching, Physician fulfillment. Bookmark the permalink.